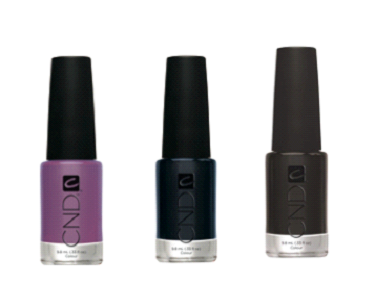 More fashion week news - this time from CND! Check out the great looks that they created. 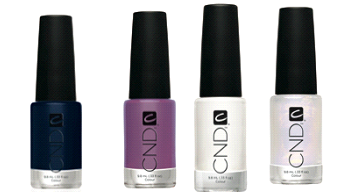 • "Starry Night" evoked the nighttime sky on a lake with two coats of CND Colour in Midnight Sapphire with sponged overlay of Eclectic Purple and Studio White, with a coat of CND Effects in Sapphire Sparkle. • "Flirty Flower" was created with two coats of bold red CND Colour in Flashpoint with hand detailed ferns using CND Colours in Brilliant White and Anchor Blue. 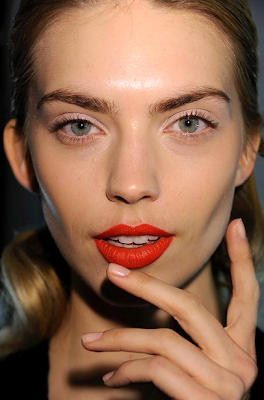 • "True Red" was created with two coats of CND Colour in Flashpoint. 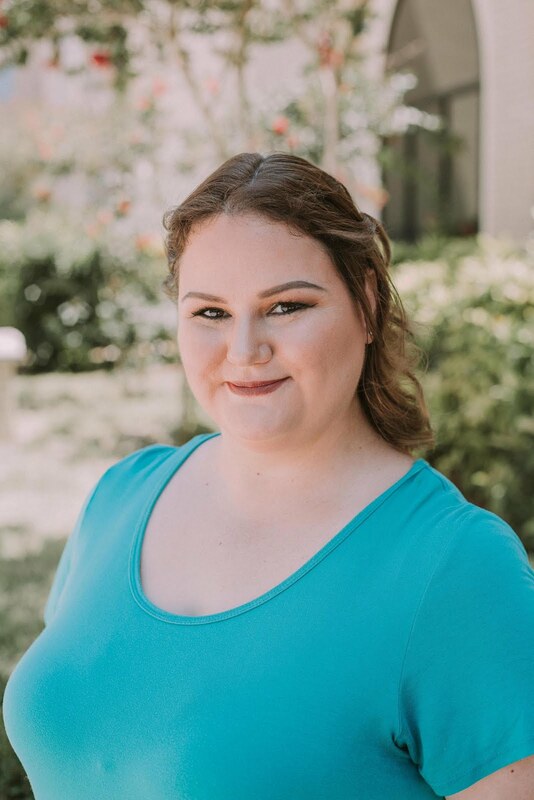 At Christian Cota, Candice Manacchio crafted a "Terra Cotta" manicure to accessorize bright, bold, Mexican inspired patterns in the collection. 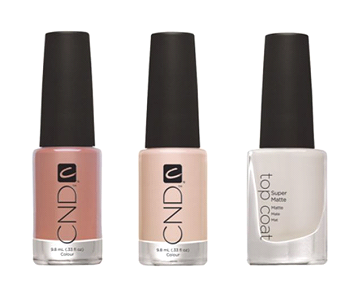 The manicure's ombre effect was created with CND Colour in Chocolate Milk and Putty. DIY with the help of a makeup sponge by applying Chocolate Milk from the cuticle to half way down the nail, then add Putty from half way to nail end. 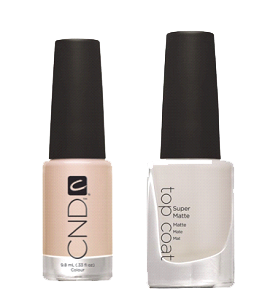 Use CND Super Matte Top Coat to combine the two colors while still wet to finish the look. 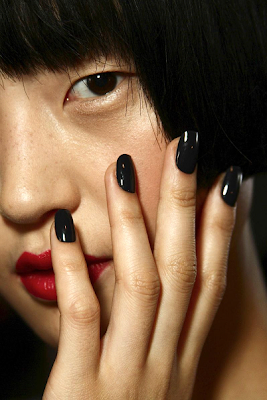 At Wes Gordon, Charles Dickens' "Great Expectations" met "Girl With the Dragon Tattoo" with a "Midnight Noir" nail designed by Shelena Robinson. This manicure was custom blended with CND Colours in Eclectic Purple, Inkwell and Blackjack, serving as a gorgeous complement to a luxe jewel toned collection. For Monique Lhuillier, CND's Wanda Ruiz crafted a "Velvet Manicure" with CND Colour in Putty and CND Super Matte Top Coat. This nail was paired with elegant leather and silk contrast gowns in navy, black and red fabrics. I love the Starry Night look.. it makes me so wistful, though. I think the only polish color for me was Chanel's old Ciel de Nuit, back in the 90s. I have no idea why I just went in a ramble here, I'm sorry! Great looks here, though!